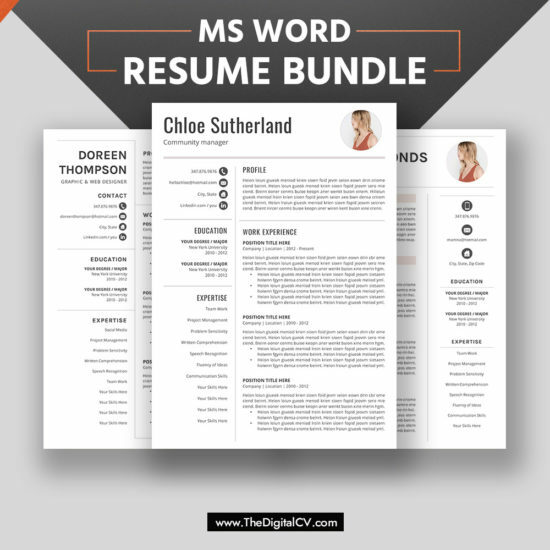 Fully customizable & editable resume / CV bundle, professional, creative and modern 1, 2, 3 page resume bundle / CV bundle with matching cover letter and references templates. 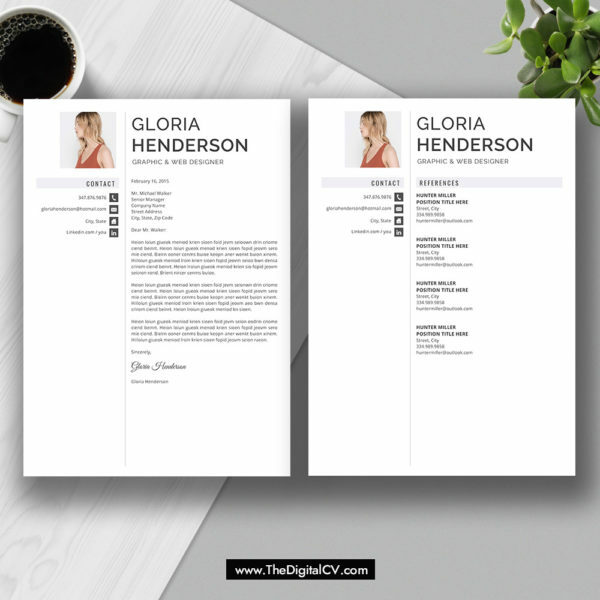 Letter size and A4, digital instant download, fully compatible with MS Office Word for Windows and Mac. Making you stand out from the crowd. 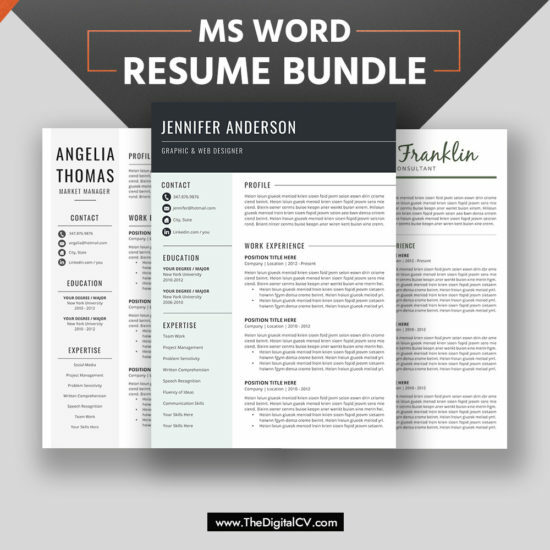 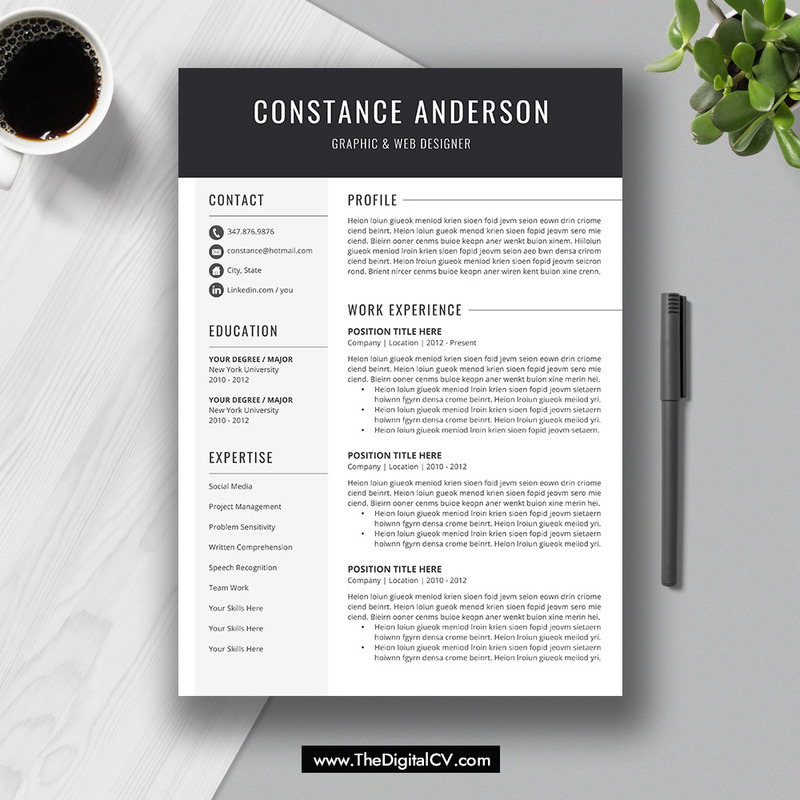 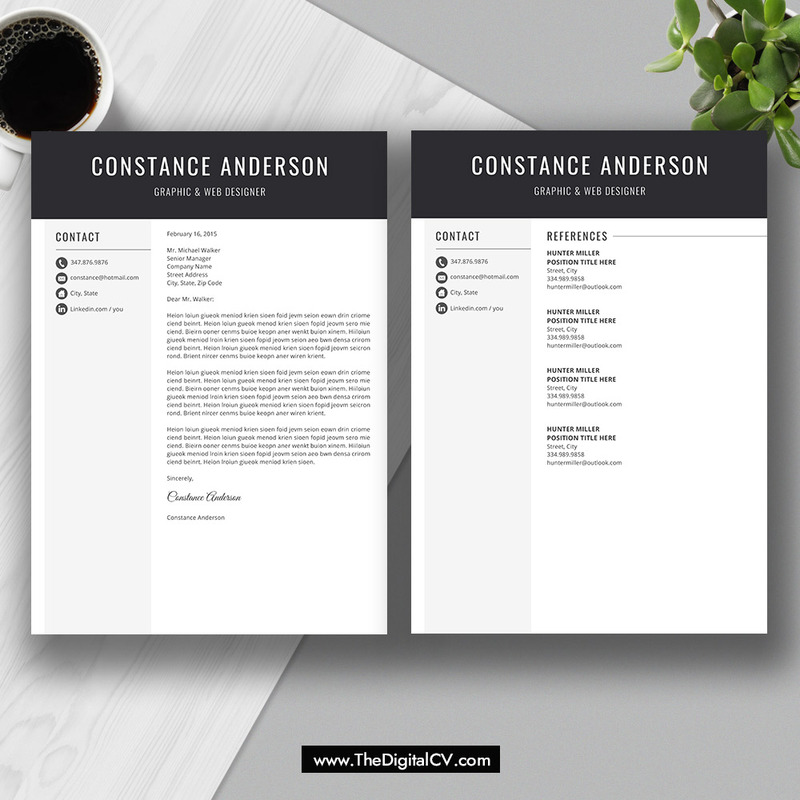 – 3 professional and creative resume templates included: the Paula resume, the Gloria resume, the Constance resume. 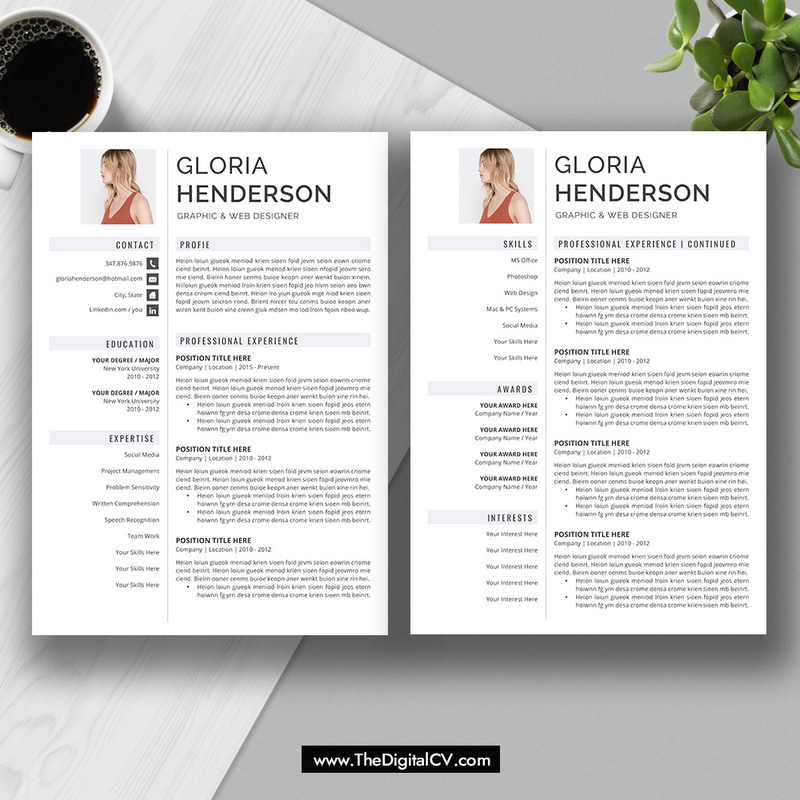 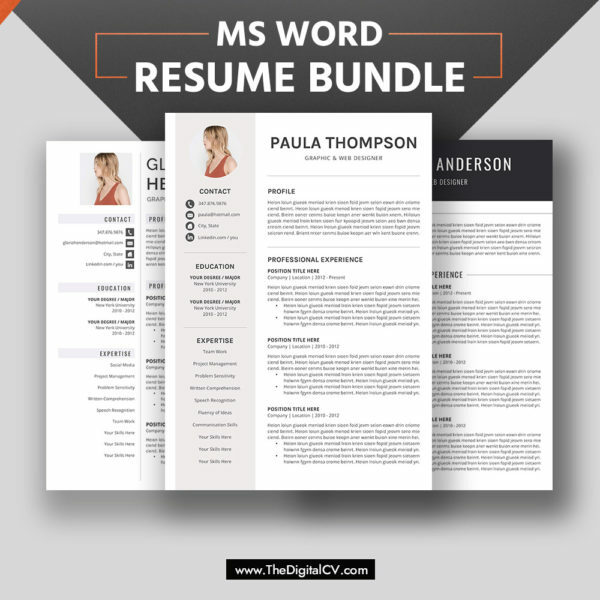 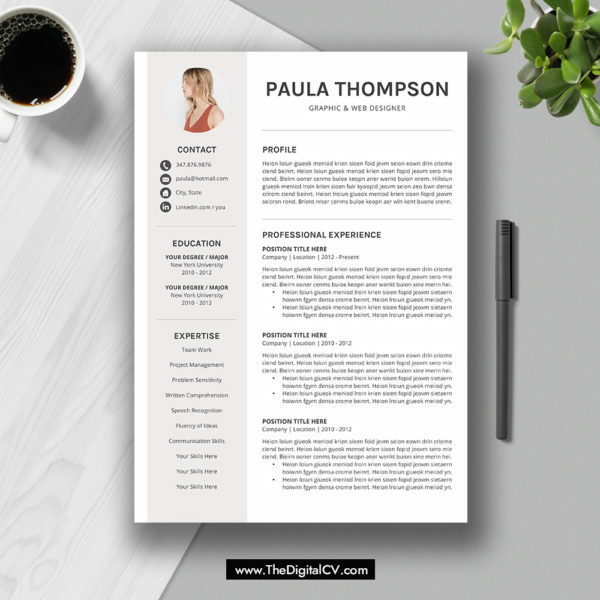 3 professional and creative resume templates included: the Paula resume, the Gloria resume, the Constance resume. – 3 resume / cv templates included. 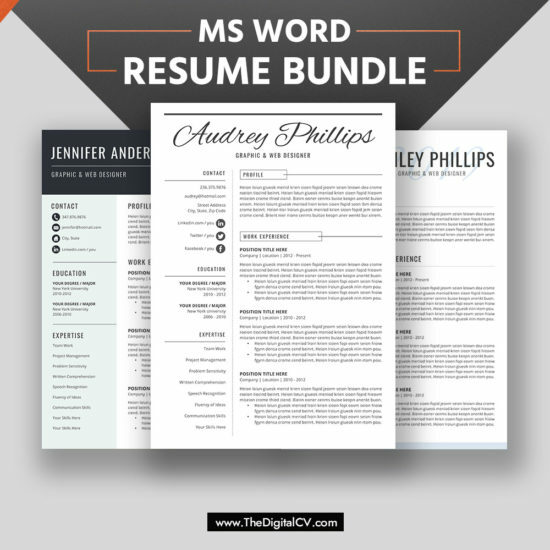 – Microsoft Word (2012 or newer) is required to view and edit these templates.